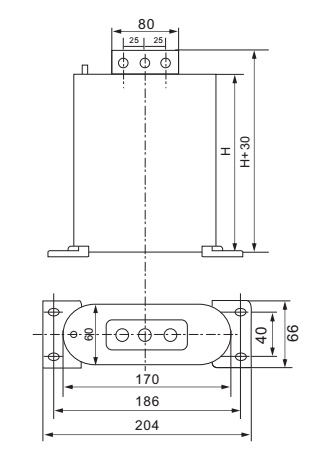 3 phase power capacitor with 8 kvar (125 μF) rated capacity and is parallel connection in the 450V, 50Hz/60Hz AC system to improve power factor. 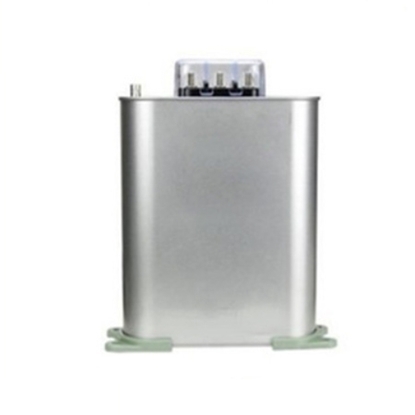 The component is designed with metalized film, which enables the capacitor to have high self-healing performance, and meet the requirement of high reliable contact and high stress resistance. 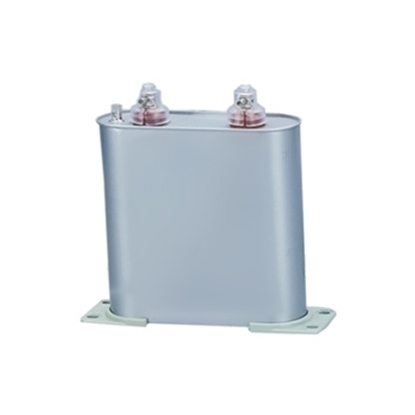 When the capacitor bank is removed, the reignited overvoltage caused by reigniting of breaker causes the insulation damage and even breakdown between the capacitor poles. 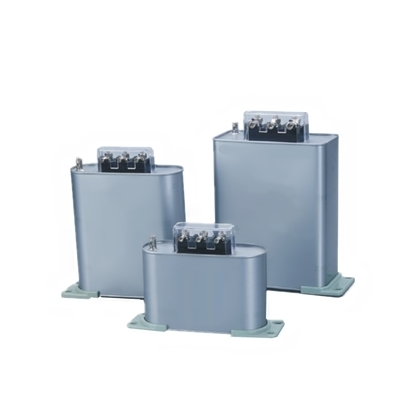 Some capacitor banks have no overvoltage protection measures, and no reactors in series, especially for those capacitors with frequent operation, are more likely to suffer insulation damage and even cause explosions. When the capacitor is input, the current is too high, and the excessive harmonic of power grid causes overcurrent, which causes the capacitor to overheat, reducing the insulation performance and even causing damage to the capacitor. 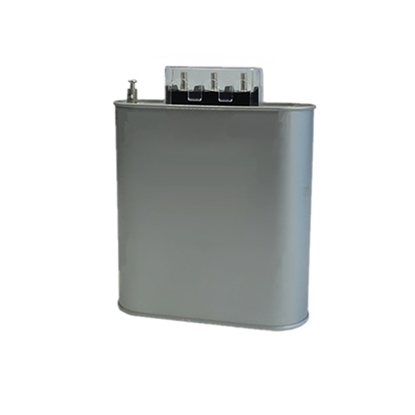 The capacitor is not equipped with a single fuse, or has a fuse but the fuse characteristic (the ampere characteristic) is too bad. When the internal components of capacitor are seriously broken down, the failure current occurs. The fuse cannot be blown in time, and the effective relay protection measures have not been kept up. The excessive current causes the temperature inside the capacitor rising sharply, causing swelling or exploding to the capacitor. Poor product quality. The oil paper insulation is not dried and impregnated under strict vacuum. Under the long-term operating voltage, the inside residual bubbles produce partial discharging. Partial discharging further leads to insulation damage and aging. The temperature rising also increases, eventually results in the electrochemical breakdown of element and damage to the capacitor.